Youth Development Resource Center — good done daily. An organization that provides technical assistance in the collection and deployment of data to improve youth development programs in Detroit. The YDRC supports youth development programs by setting a standard for how they collect and use data to measure their strengths. 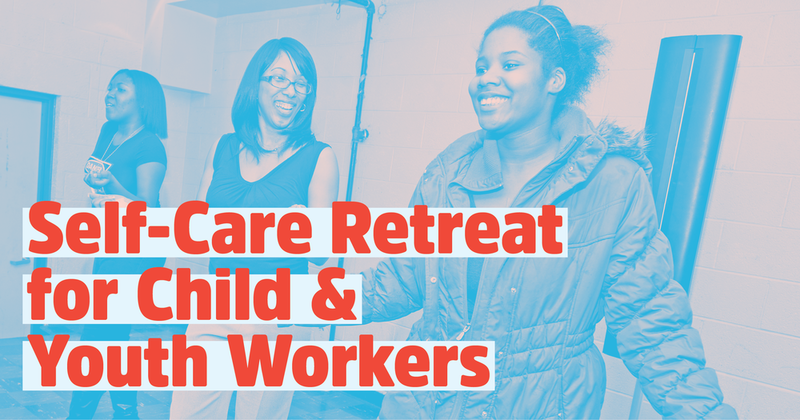 Through an analysis of these results, program leaders can determine better ways of delivering improvements that impact kids across Detroit. 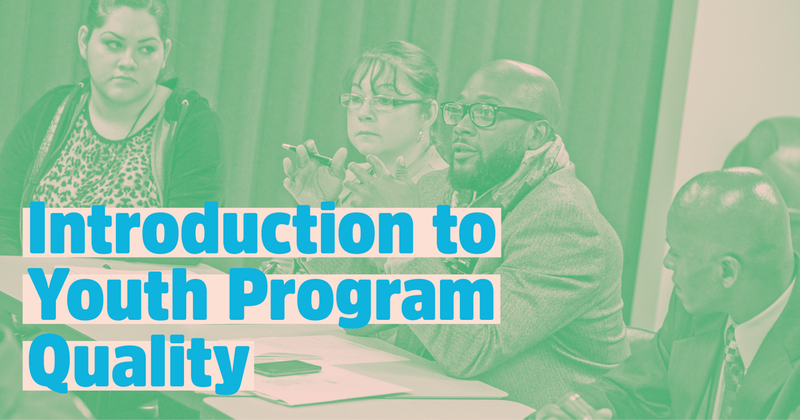 Key changes to program administration can increase a child’s academic achievements, help them build stronger peer to peer relationships, and fortify their paths to emotional maturity. We were asked to develop a suite of materials for the brand that disseminated best practices for working with data and conveyed a clear visual language. 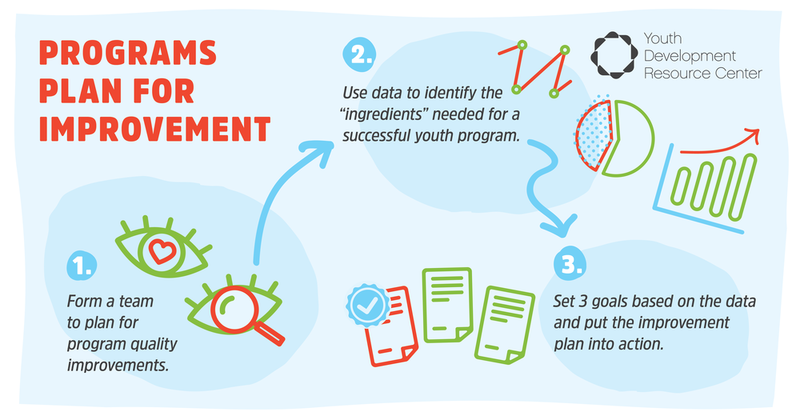 Above: the information graphic breaks down the assessment & improvement model for raising the quality of youth development programs. To get things moving, we began with a series of sketches. 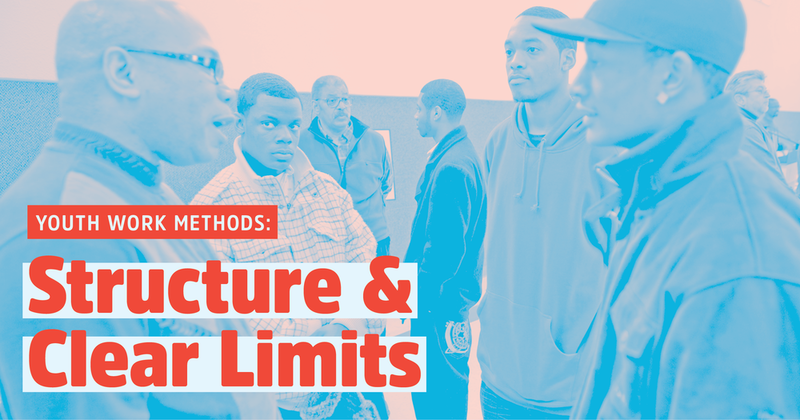 How do you piece together all sorts of metrics from quality improvements in youth development programming to Detroit's youth achievement rates vs. the national average? Invariably, the urge strikes to turn it all into one giant assemblage of pie charts and dramatic looking line graphs. By making numbers more aesthetic and somehow tangible to readers, will it help them make sense of something quickly? Will it confuse? That's why sketching can be a useful activity at this stage. Before we fuss over colors, pictographs, and quantitative analysis, we work out a layout's composition by drawing it. 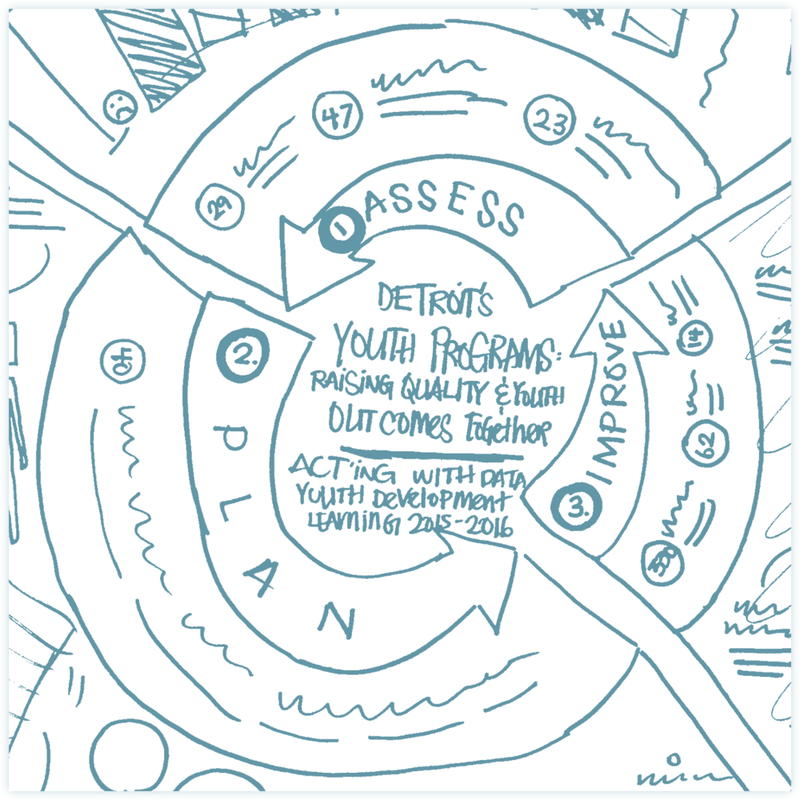 Eventually this process lead to the design of an 11" x 17" poster that explained YDRC's model for raising the quality of youth development programs in Detroit (see above↑ & below↓). Above: this playful poster became a great handout at workshops in Detroit that convened to train and support youth development program leaders. Above: we condensed the original poster into small digestable call-outs that YDRC could re-circulate via Twitter or in e-mail newsletters. 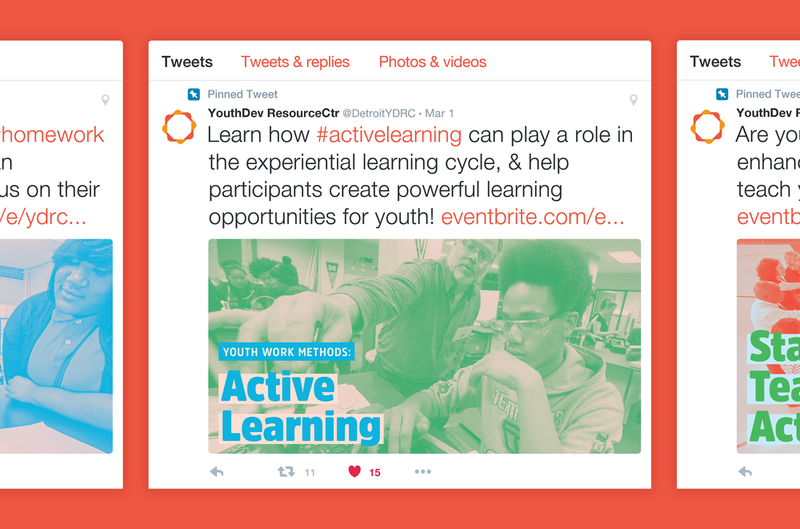 Above: we built a visual language of photography and primary colors to steer a consistent look for YDRC's Twitter campaign which focused on workshops for youth program leaders. 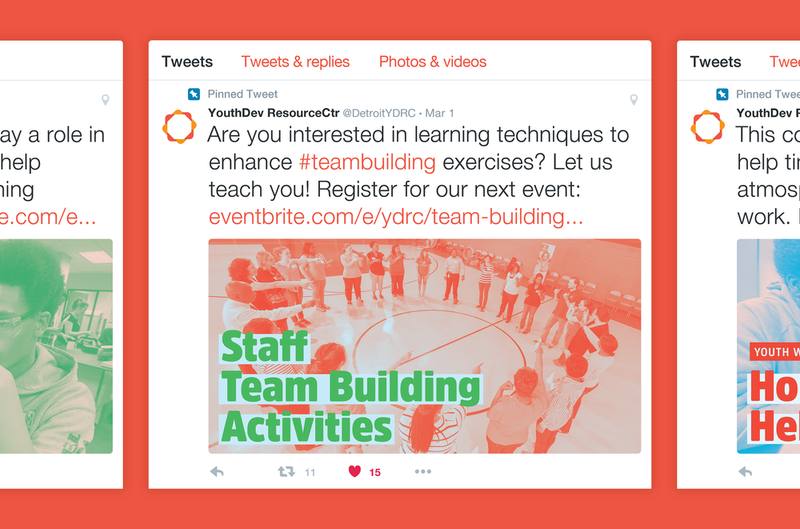 Above: Campaign graphics were deployed across YDRC's social networks to increase workshop enrollment and attendance. 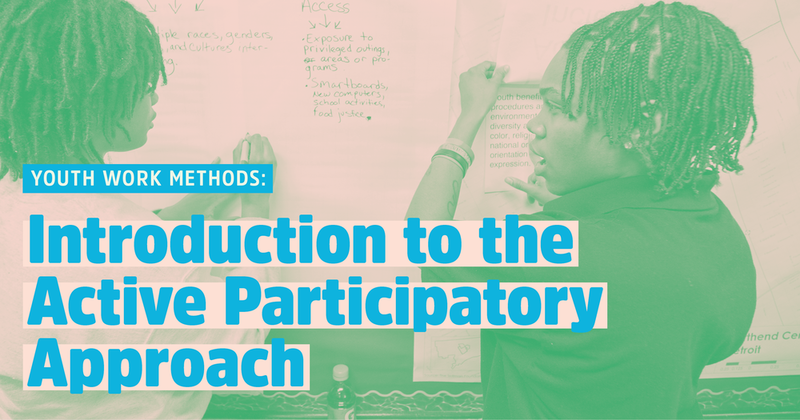 Above: outreach materials on Eventbrite helped to increase workshop awareness and online enrollment. 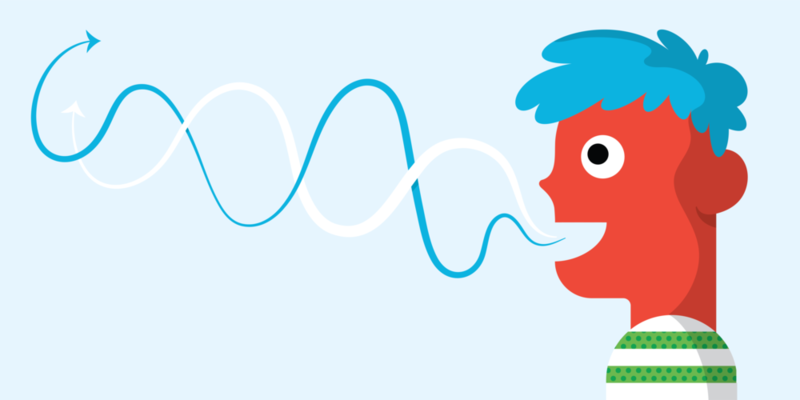 Above/below: Proposed illustrations communicated the importance of building diversity and elevating youth voices to raise the quality of programming.